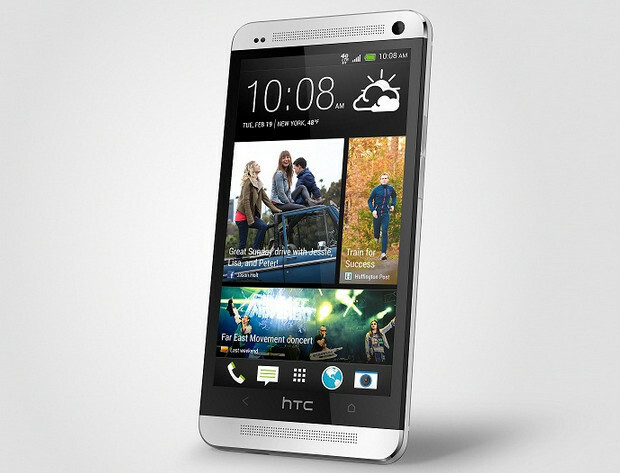 After an awful year in which the company has seen sales sliding catastrophically downwards followed by serious management issues, there’s a lot riding on HTC’s flagship phone, the Android powered HTC One. 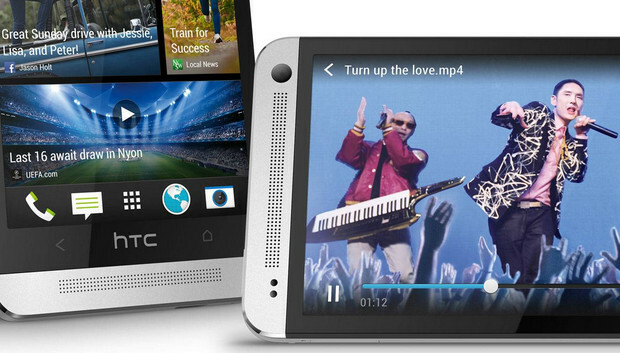 Is it good enough to see off the likes of the Galaxy S4 and iPhone? Read on and find out…. First impressions count for a lot, and the initial response to picking up the phone is overwhelmingly positive. This is one gorgeous handset, exuding class and quality. 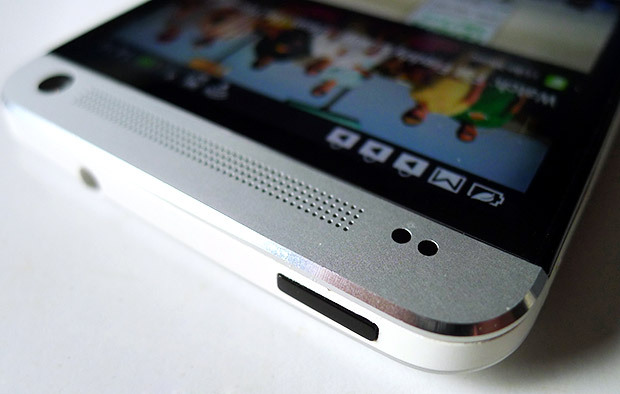 Hewn from a single block of anodised aluminium, the HTC One looks and feels fantastic in the hand, with the curved rear cradling the phone perfectly in the hand. Measuring up at 137.4 x 68.2 x 9.3mm, it’s only slightly thicker than the iPhone 5, and its 143g weight means that while it’s not the lightest phone about, it’s hardly a pocket-straining beast either. A closer inspection shows off a reassuring attention to detail, down to the finely milled speaking grilles at each end, with the handsome looks matched by a high quality build and the feeling that this is a phone that can take the odd knock or two. This is as good as contemporary phone design gets, although such beauty comes at a cost, with the sealed design meaning that there’s no removable battery or microSD slot onboard, so you’re stuck with the 32GB/64GB provided. If you can get over that restriction, you’ll find just about everything else you’ll need, with the handset offering support for 4G, Bluetooth 4, NFC, dual band 802.11n wi-fi and even an infrared transmitter for replacing the remote controls for your TVs, set top boxes and other separates. The phone’s 1080p 4.7″ Gorilla Glass-protected screen is one of the very best we’ve ever seen, being exceptionally bright, crisp and with great contrast. We were even more blown away by the dual, front mounted speakers which produced the best sound we’ve heard from any handset. They were surprisingly loud too – loud enough to perhaps make you consider leaving any small external speakers you may have at home. Like Samsung and several other smartphone manufacturers, HTC couldn’t resist fiddling with the Android interface, but thankfully their Sense UI presents a clear, crisp UI that arguably provides a more pleasant experience for new users. Their news aggregating BlinkFeed app is one of the stars of the show, letting users set up a customised homescreen widget feed of their social networks, supplemented by a selection of popular news sources. Although it does the job very well, power users may soon get irritated by the lack of available news sources – we quickly switched back to more flexible apps like Flipboard and Feedly. 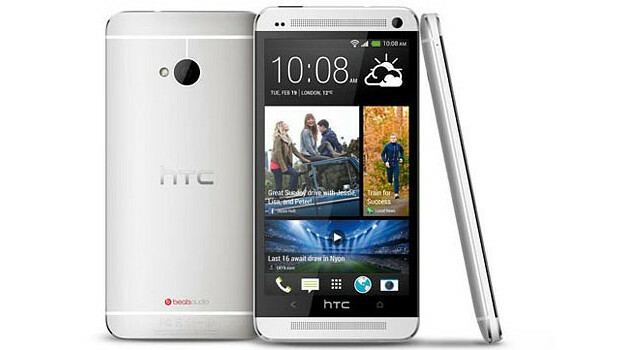 HTC made a big hoohah about the HTC One’s camera which has forgone the race for ever-bigger megapixel counts to offer a seemingly modest 4MP Ultrapixel number. The idea behind this is that these ‘ultrapixels’ can collect a lot more light and therefore produce better quality photos than their rivals. Does it work? Well, sort of. In low light the HTC produced images far better than anything we’ve seen from any other phone (with, perhaps, the exception of the exceptional Nokia Lumia range). Being able to turn off the flash when the light was low produced far more natural shots, and the HTC was able to pull out impressive levels of detail, with decent colour reproduction. Daylight shots were sharp, crisp and vibrant too, but this comes at cost of image files that are substantially smaller than, say, the 13MP snapper in the Samsung S4 – and those differences become more apparent the more you need to crop into an image. 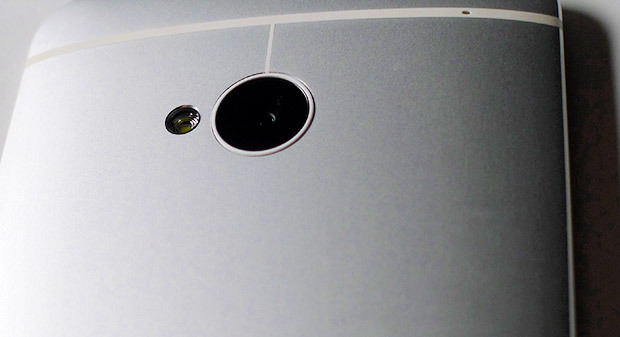 So is the HTC One better than, say, the S4 in low light? Definitely. But is it a better camera overall? We’d say no. 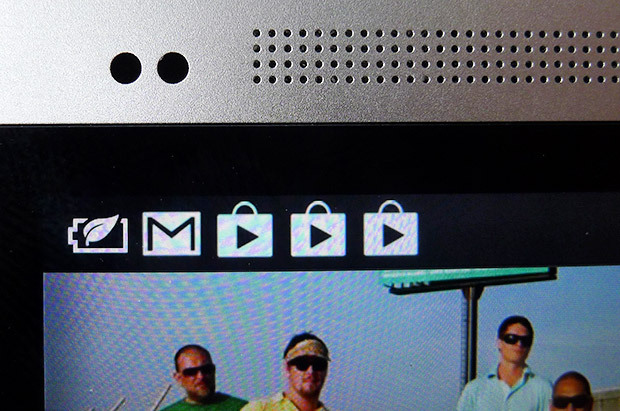 Nokia Lumia 1020 Camera vs. iPhone 5, Galaxy S4 and HTC One [Laptop Mag]. Like Samsung, HTC like to lob in a few fancy photo extras of limited novelty, like the HTC Zoe which rattles off 20 images while also recording a short video clip. The idea being you end up with a three second clip (called a ‘Zoe’) ready for sharing with your soon to be thrilled chums, but you can also trawl through the accumulated pile of stills to find the ideal photo. That’s all well and good, but given the HTC’s lack of removable storage, keen users of Zoe may find their onboard storage running out pretty sharpish. With beefy 1.7GHz quad-core processor backed by 2GB of RAM, we expected a snappy phone, and we weren’t disappointed. Performance was exemplary throughout, with butter-smooth transitions, responsive apps and no lag whatsoever even when multi-tasking. It’s quite possibly the smoothest phone we’ve ever used – it’s that good. Despite that mahoosive screen, battery life was pretty much what we expected, with the phone lasting out a regular day’s usage, although graphic-hungry games fiends may be advised to pack a charger before they set off. 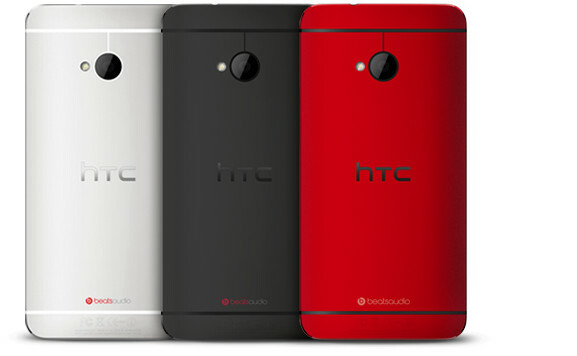 It’s not a cheap phone, and the lack of removable storage/battery may prove problematic for some users, but if you’re looking for a superbly engineered phone offering Apple-like ease of use with a stunning screen and fantastic sound quality, the HTC One should be right at the top of your list. It’s a wonderful handset and one that vies with the Galaxy S4 as the best phone currently available on any platform. 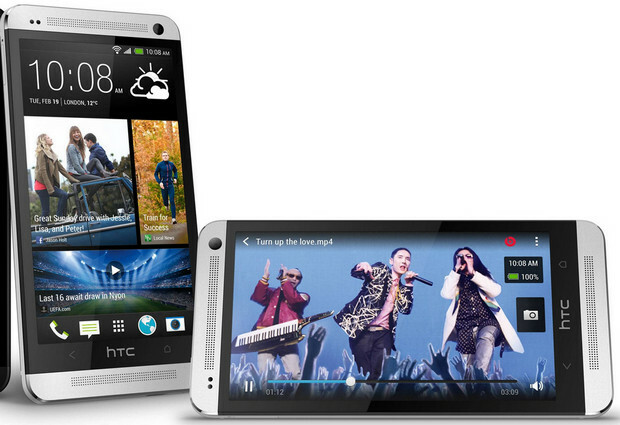 The HTC One is available on a range of price plans from Phones 4u. Anyway, how hot does the thing get with extended high CPU usage? That’s what made my brother switch away from HTC. It got a bit warm but not as sizzlingly scorchio as my old Galaxy S2!